Also picked up this NOS VW 181 Only Ball Joints Set from the same seller as a spare set. Had bought a NOS set already in USA a while ago. 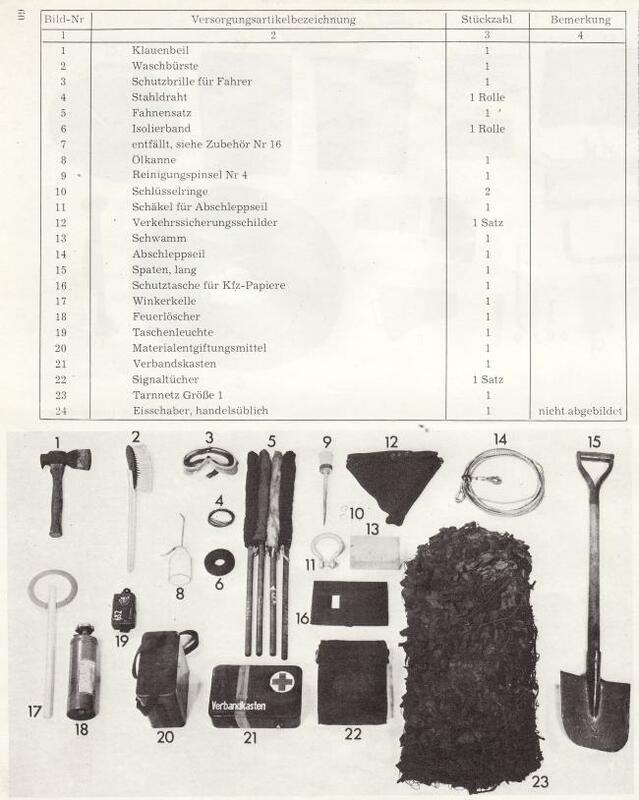 I'm nearing completion of sourcing all correct VW181 military accessories. Another less than a dozen items and I'm done. With start of 2013, I had resolved to celebrate this year as the "VW181 Accessories Year" for Elk, and had initially planned to go slow on things but then it all ended up a roller coaster ride for last two months with hunting each and every single military accessory on the Military VW181 TDv Manual all across the globe. There were items which take years to be found and there were items which were easily available. The point was not just to hunt them down but to collect all these items from across the globe and then bring them in. Most of you would understand exactly, how huge a task it could be with all the scarcity of parts locally and with the problems we all face in bringing in parts for our beloved VWs from abroad. But in the end, a like minded Polish VW enthusiast who is settled in France, Filip, a true parts hunter; a true friend and a true human being was all that it took to achieve what has been achieved in such a little time. Whatever parts you have seen over the last two months that have been bought and put up on Elk's threads here and on pakwheels were somehow helped by this gentleman whom I have never met or broken bread with but he did what a very few would have done for anyone. Just won these couple of rare items just a minute back at eBay. OG Hood Cover/Boot (Black). 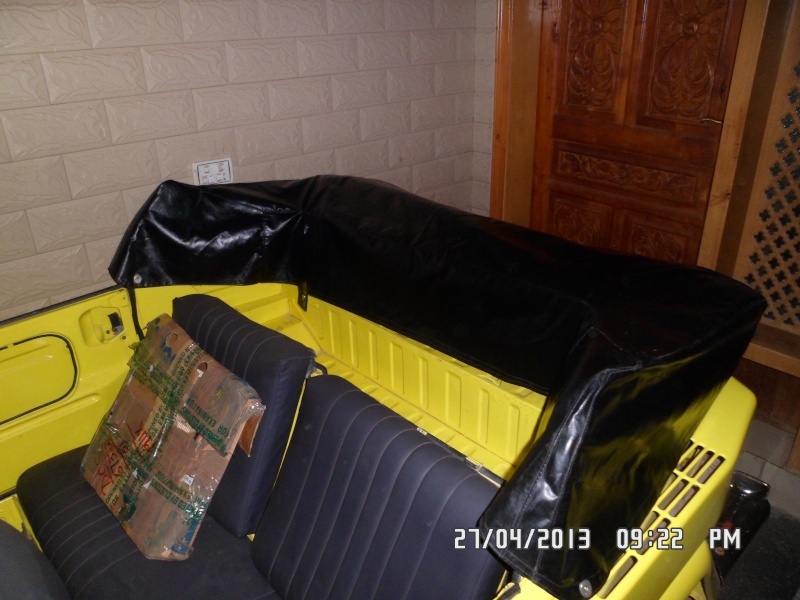 Its original VW not a repro. 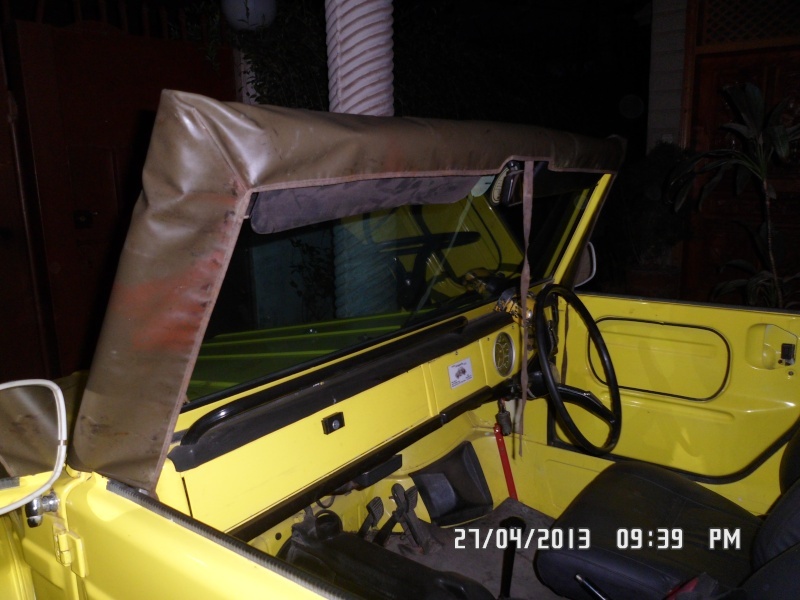 Goes over the folded down Convertible Top and is secured by two straps over it to tie down the convertible top frame. OG Front Windscreen Frame Cover/Boot (Olive Green). Another original piece, goes over the folded down Front Windscreen and is secured by the straps which you can see attached to the boot. Jordan's Package just arrived from USA. And now the most important delivery that I have seen in years...this particular rarest of the rare RHD VW182 ONLY SWF wiper motor has made its way to me just a while back too. Other than the fact that it has a couple of male connectors broke on the connectors block and kind of battered cover, it is in pretty good shape and so is the assembly. Thanks to Frank Walling, a replacement connector block would be on its way soon to me from USA too, so that this broke block could be delicately replaced and everything becomes in order. 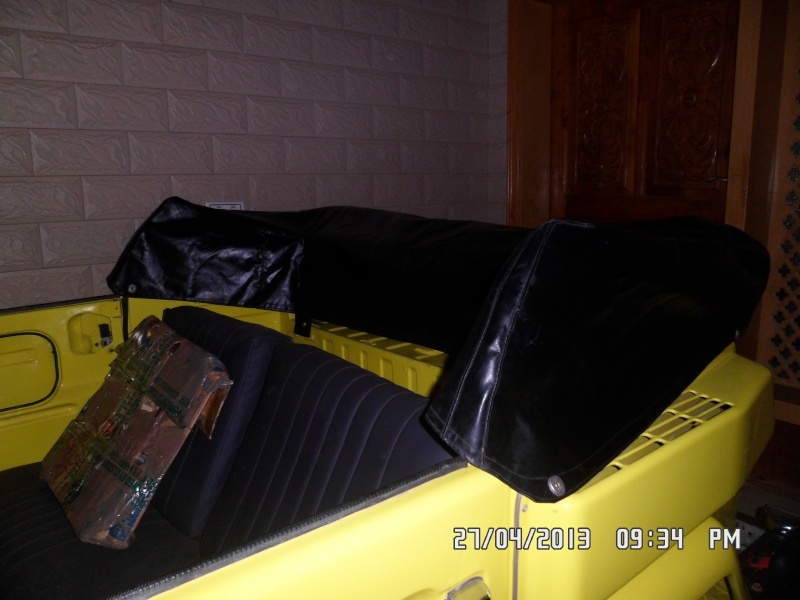 The cover would be changed with one of the covers available from 6v SWF wiper motors available in my stash. Both Wiper Motor as well as Assembly would need some TLC before they could be presentable with matte black re-spray. We've debated time and again on the original fabric tape that was used by VW to insulation the wiring on the VWs and until now it was only a wish to find one of these to go on as a part of the military accessory on Elk. Elk has served as Commander Vehicle of AUSBATT Contingent with UN in its early days. It was equipped with Radio for the Commander to be in touch with the base. The VW181s equipped with radio were 24V as the radios were operated at 24V. In 2nd last pic you can clearly see how the 2nd alternator was mounted to provide additional operational 12V for radio on the "Funkwagen" / radio car. Since then, I have been hunting for 2nd alternator and its mounting bracketry. My hunt took me to Switzerland to an old friend who himself is a known ARMY VW enthusiast for all times. He told me that he had a Bay window bus Oil filler/Generator Stand with 2nd alternator mounting option from an swiss army bay window. The strange thing is that the Oil filler is twisted (originally) at 90 degrees to the original oil fillers which we are so used to of seeing at our VWs. Another strange thing about this setup is that unlike the 2nd alternator mounting schematic above, its to the right of the 1st generator stand than to be on left. Here are some pictures that he sent to me this afternoon. The first thought that came to my mind after looking at these picture was; "there is still long way to go in learning about VW and its diverse ways of achieving high end objectives, which were surely well before their time". Ever since I have owned Elk, i.e. since October 2012, I haven't folded down the top but yesterday night. Primarily bue to the fact that it was cold and then I have been driving around my 65 Bug for over last 3 months as my daily runner and Elk was stored away in its safe hiding. With spring at hands, it was a perfect time to fold down the top and enjoy some windy ride. This morning, Elk saw its first daylight with its top down, in my ownership, for the first time. Below, its seen parked at work as I drove it to work today instead of my beloved OG paint Ratlook 65 Bug. 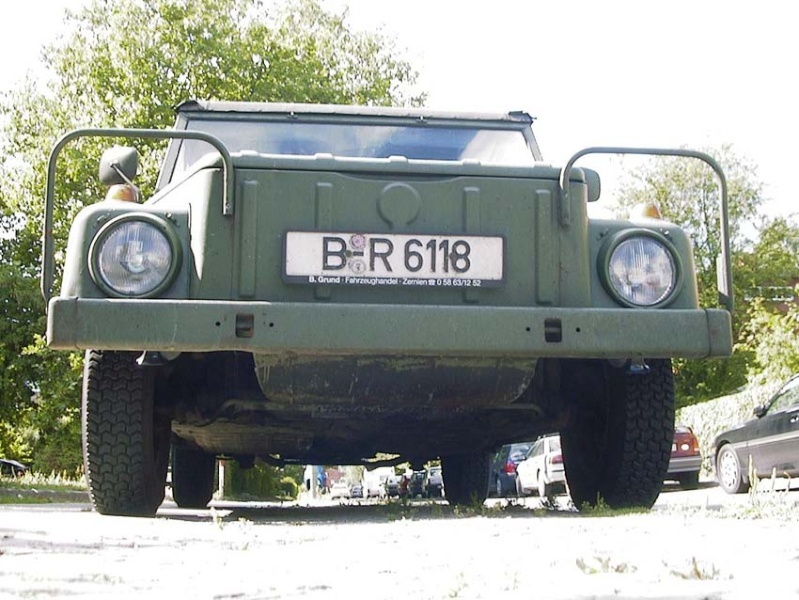 VW181s are known to have been distributed with two kinds of accessory winches based on their markets. My first priority was to find a correct Mexican Winch for my Mexican Safari but then it proved super rare, so had to choose on the different (read first option i.e. VWofA) option. Found one on eBay and bid for it and eventually won it. Even though its not made by Powerwinch/Leitchfield KY but its exact as they Powerwinch produced for VWofA in past. 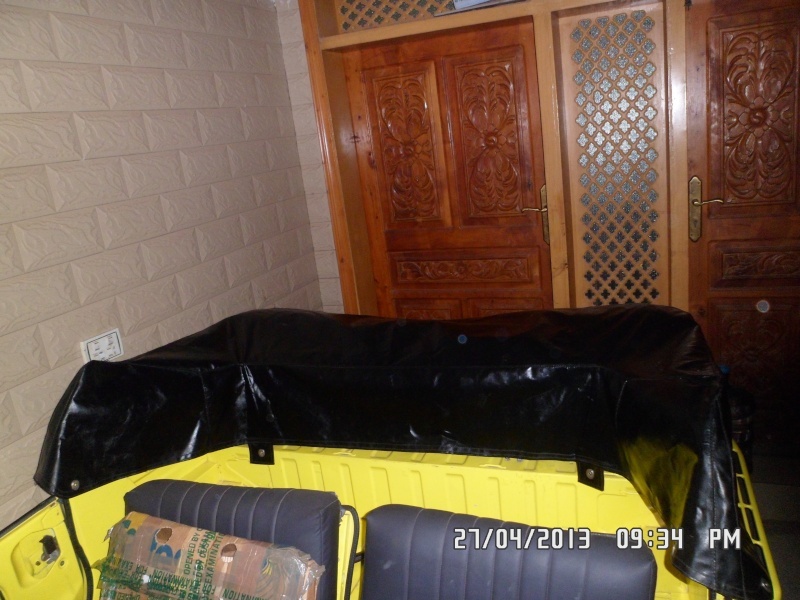 Its made by Güde/Germany and is almost in brand new condition. Here are a couple of pictures of the exact item that I won on eBay. Cable Length - 8 mmax. Drawing force - 1800 kgmax. Withdrawal force with pulley - 3600 kgmax. Weight rolling objects - 4300 kgmax. Here is a shot from the other night when I was working on getting the shift rod bushing replaced. Needs attention but with POR 15 Rust Prevention kits on their way, it aint gonna be a big problem soon. Elk; My daily driver this afternoon. 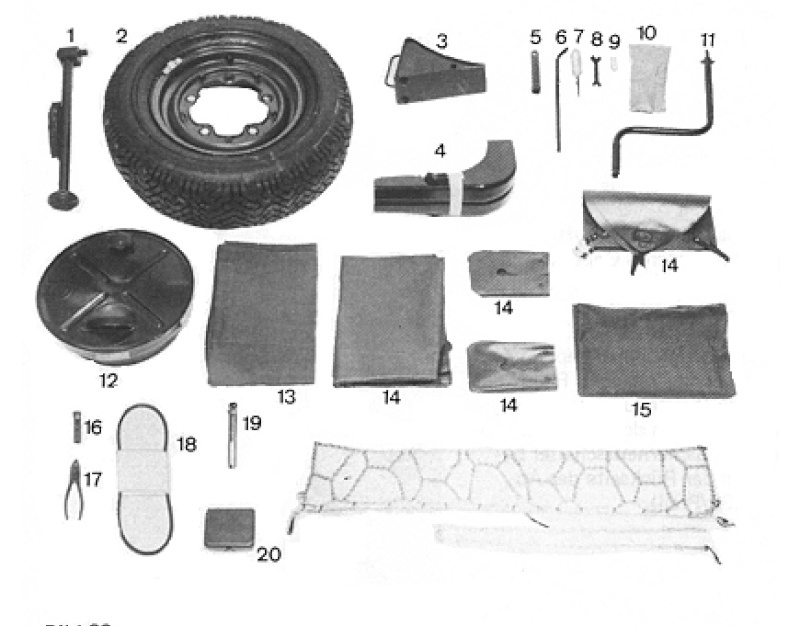 VW 181s came with a total of 04 Skid/Protection Plates. Three went on the underside of the motor and one went on the front under the front beam. Elk misses the rear most and the front skid/protection plate. Rear most plate has already been bought in UK and is awaiting dispatch. Picked the front skid plate a while ago for an unbelievably cheap 20GBPs. Same decision as above, also included the deal of this "Used" Bosch Externally Regulated Alternator. The Brush holder male connectors are bent and the internal condition is unknown at the moment. Ordered the last of the NEW bits to be picked up to be sent over for Elk. Here is a small list for personal record. Some even belong to Patina. Mostly these bits relate to suspension and undercarriage. Patina Parts are highlighted in BOLD. > 1396-75 Metal bushing front axle Type1 65-> inner / orig. Undercarriage on Elk is one grey area where the PO hasn't been able to register considerable effort as compared to the body. 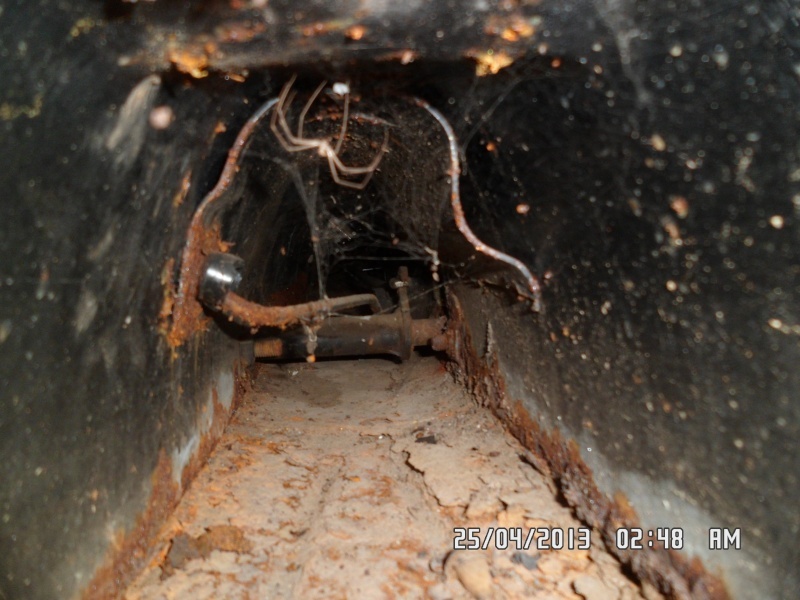 As a result, undercarriage requires a ground up restoration starting from replacement of "patched" floors and treatment of the pan with POR 15. For the purpose in mind, I have picked up enough POR supplies to do Elk completely (while Patina has its own share and so does my upcoming 3rd VW Project). Here is the POR kit that I am bringing in to do the trick for me. 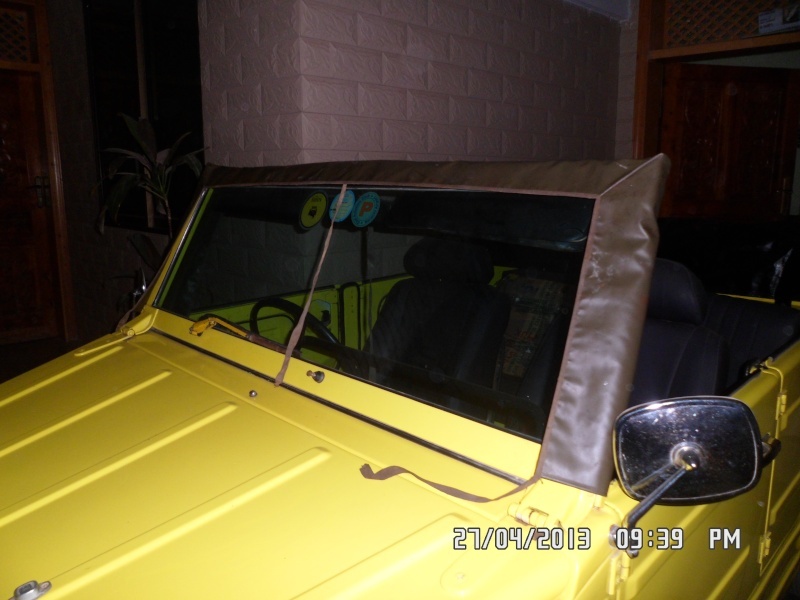 Both of these Alternators which were bought locally in Karachi from Sajid who is a VW Mechanic, have now been shipped and would be arriving on May 2nd, 2013. Something on auction at ebay.de to drool...Pricey but cool!